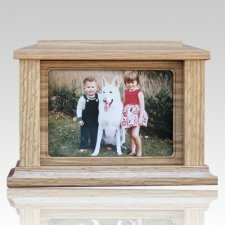 Many feel that photographs are some of the most important belongings that we posses. 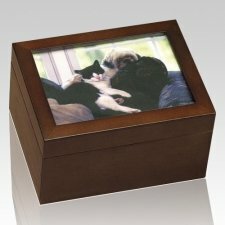 Photos of our pets, especially after the tragic loss of a pet, can help us remember happier times that they enjoyed, and brings back countless memories they left us. 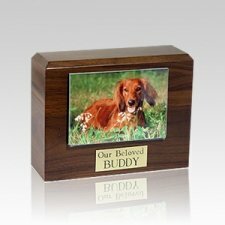 It goes without saying that a pet, regardless if it is a cat, or dog, or an exotic pet such as an iguana or guinea pig, can become one of the closest friends that we have ever made. 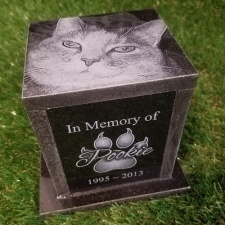 These wonderful creatures devote their entire beings to us, even cats who are notorious for being independent, and can bring a smile to our face, even when we feel we have had the worst of days. 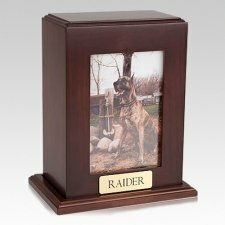 That is why, when we lose one of these treasured companions, keepsakes such as photographs can take on an even more significant meaning. 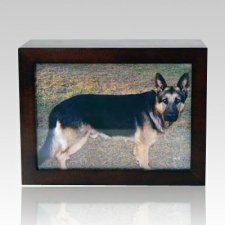 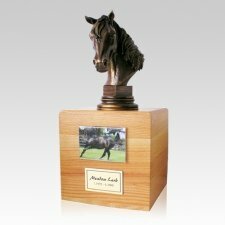 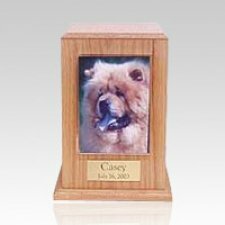 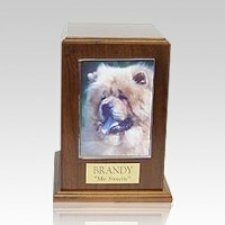 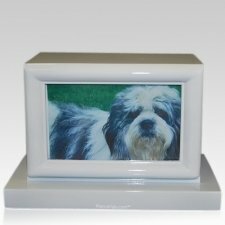 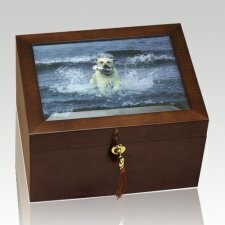 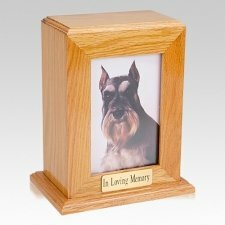 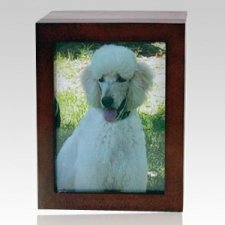 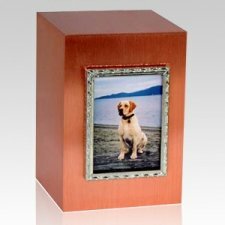 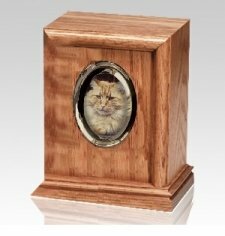 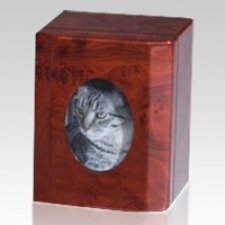 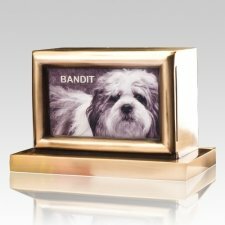 For those who are look for the perfect pet urn to capture the personality of a beloved pet, a photo pet urn can be of great interest. 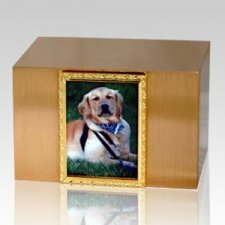 Photo pet urns are created to the highest of standards, to ensure that the vessel is as dignified as it is beautiful, and are crafted from a variety of materials such as wood, metal, cultured materials, and even bronze, to name a few. 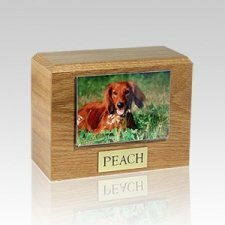 There is a vast selection of designs, but they all share one trait in common, and that is they have a prominent area that is intended to hold and feature a photograph of the pet. 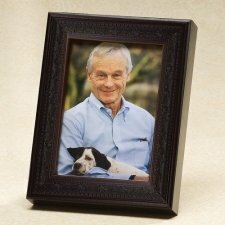 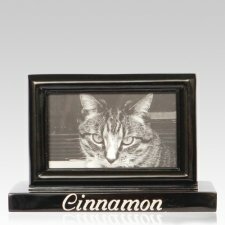 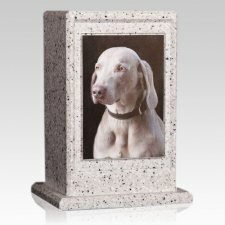 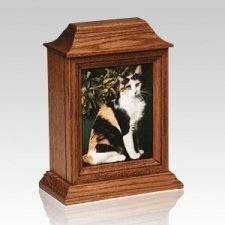 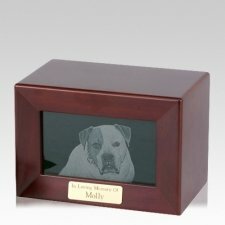 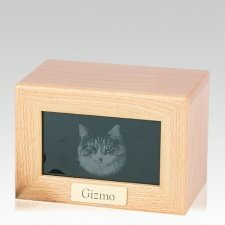 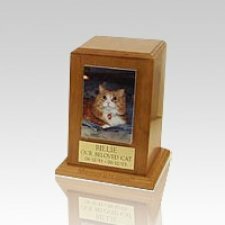 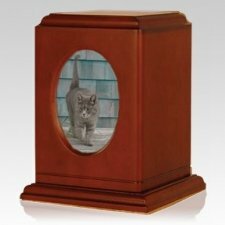 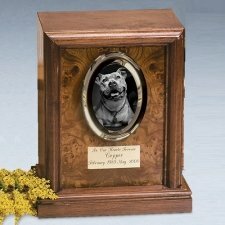 There are two main styles the frames on the urns come in: The first is intended to permanently hold the image of the pet, which is often engraved on the surface of the vessel, or on a plate that would then be attached to the urn; The second style features a photo frame that allows the pet owner to interchange the photographs. 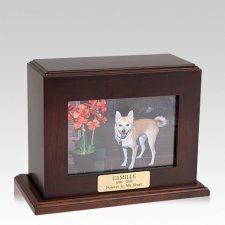 The latter style is especially popular, as it allows all photographs of a pet to be displayed, and reminisced over, rather than the urn depicting one single photo permanently. 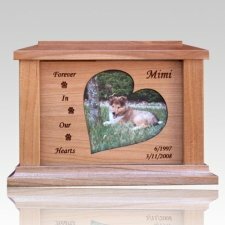 The loss of a pet is a very grievous event in one's life, however celebrating the happier moments shared with the beloved companion can greatly ease the heart and mind. 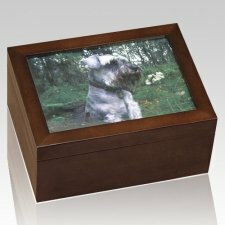 Photographs are ideal to help us, if even momentarily, forget the pain felt because of the loss, and even appreciate the fact that we got to share the life of that pet at all. 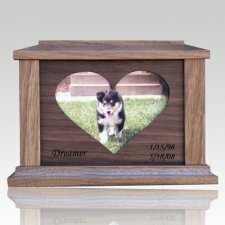 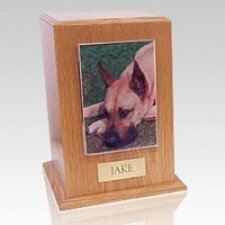 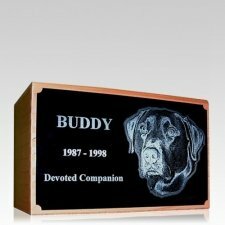 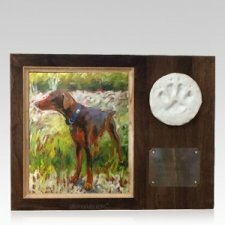 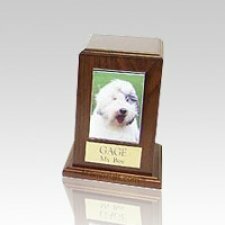 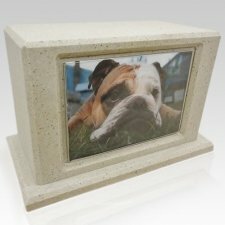 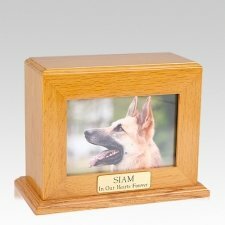 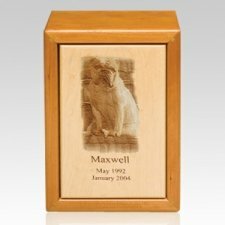 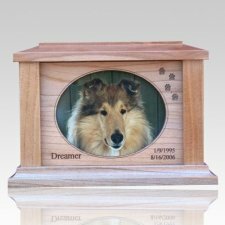 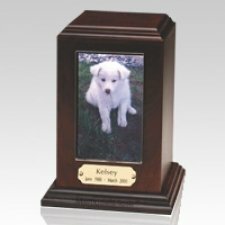 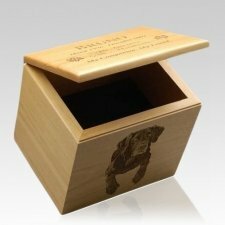 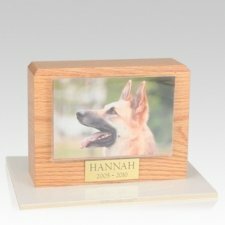 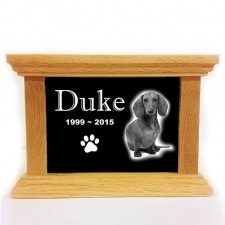 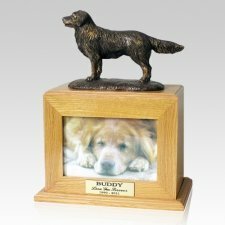 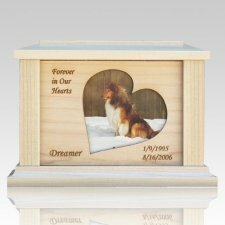 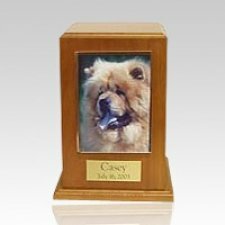 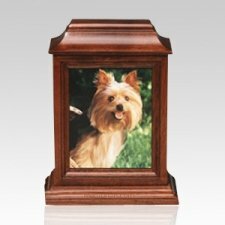 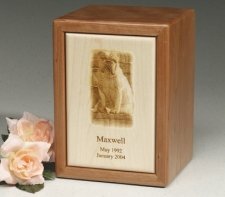 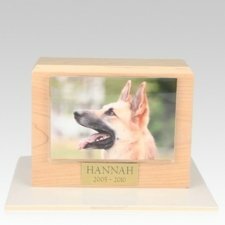 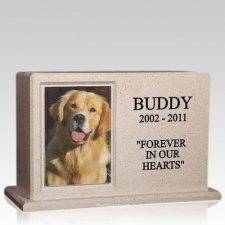 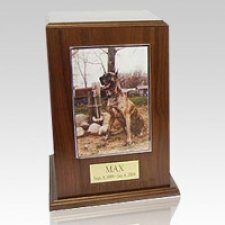 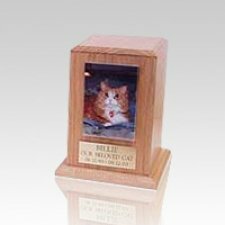 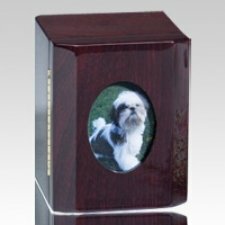 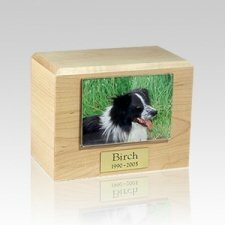 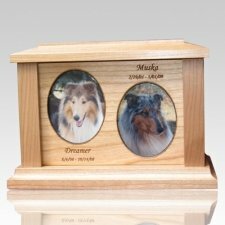 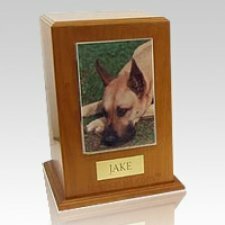 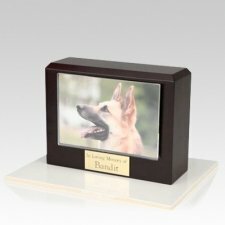 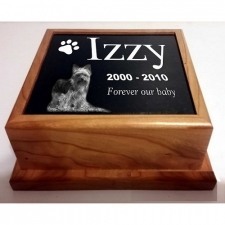 A photograph pet urn will not only create a dignified, and highly personalized, memorial tribute to a pet, it will help celebrate their life as well.